Institutional memory. Continuity and stability. Leaders and mentors. 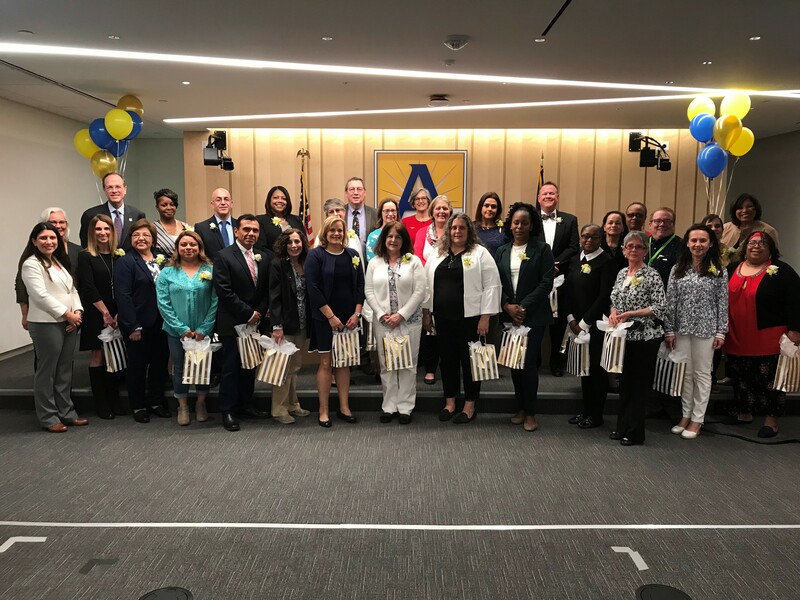 These are just a few of the ways that this group of 168 employees are crucial to the success of the Arlington Public Schools. 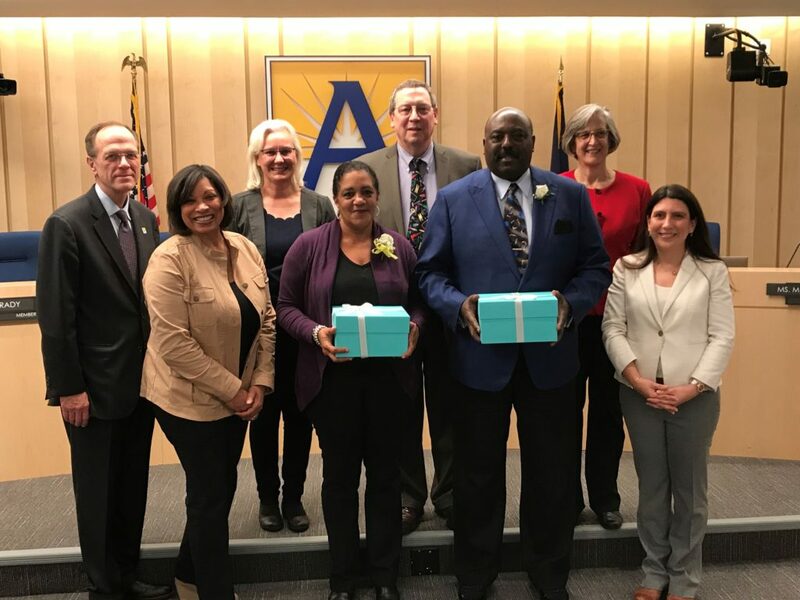 This year’s Service Awards honorees have served a combined total of 4,020 years at APS and were recognized by their colleagues and the School Board at the April 11 meeting. They have helped improve our schools so students receive an excellent education that meets their individual needs. 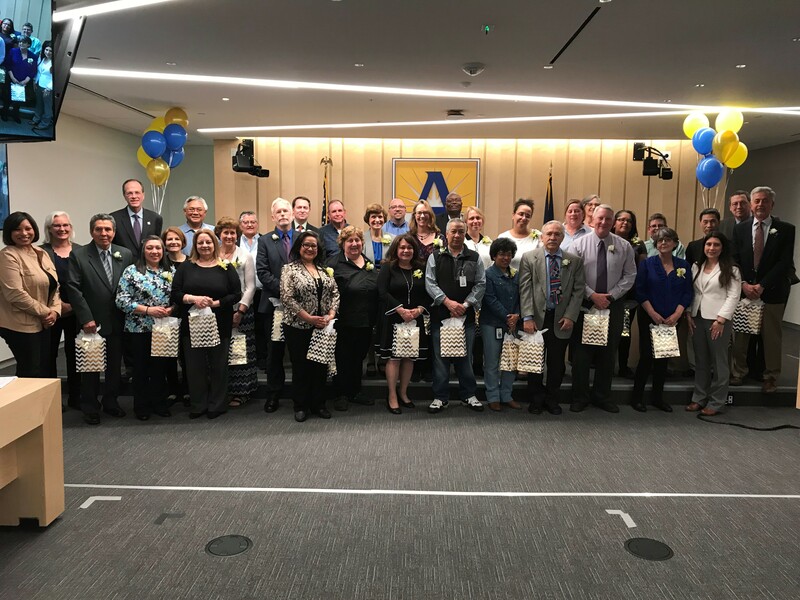 APS employees were recognized for career milestones of 20, 25, 30, 35, 40 and 45 years of service to the school division. Each group was called up as historical facts and cultural highlights were shared about their first year at APS, including the average salary, cost of a new home, news headlines, and popular songs and movies. 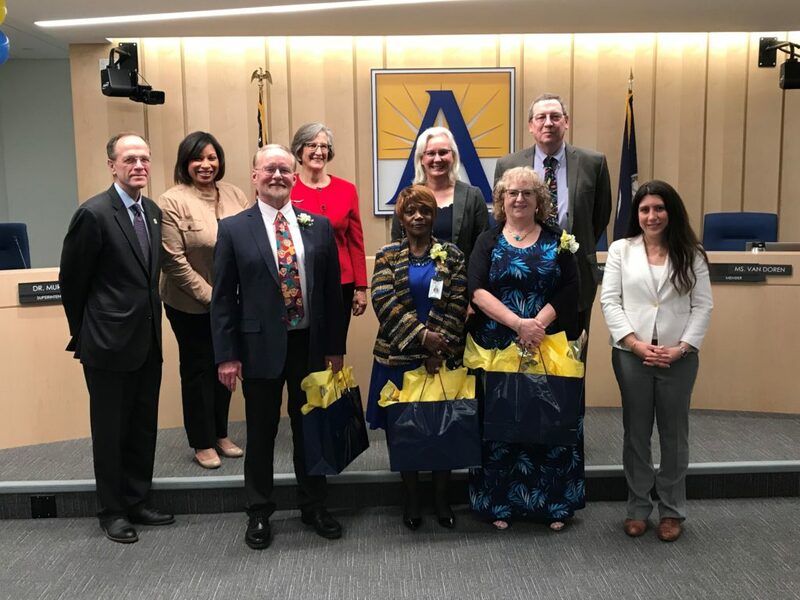 It was a night filled with celebration, laughter, and smiles as each person was honored for their dedication to APS. Congratulations to all!